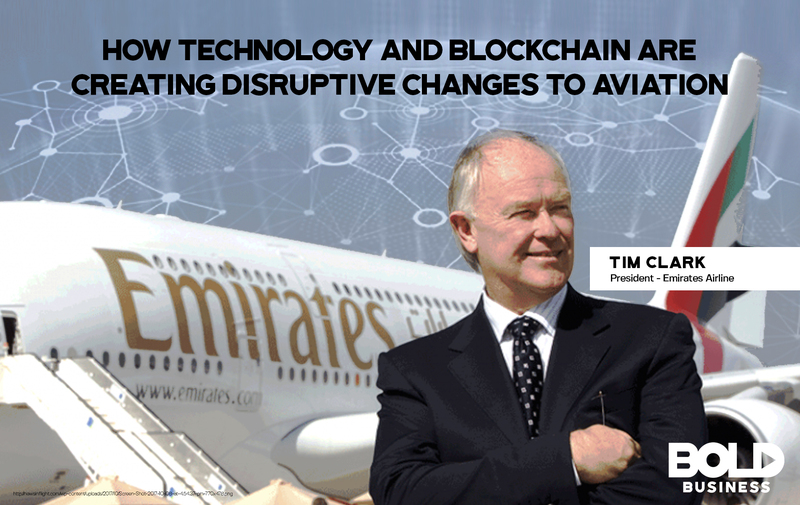 Sir Tim Clark, CEO of Emirates, was recently interviewed on the effects of new technology on the largest airline in the Middle East. He told Business Insider: “there’s a storm coming” and either you ride the storm and deal with it, or perish. “The company of the 2050s will bear no resemblance to the company of 2018,” was Clark’s bold statement. Clark was not referring to additional income sources, but how technology can be used to streamline processes and make it easier to manage an airline, and make it profitable. He emphasized that airlines needed to analyze their internal processes and build them up from scratch on digital platforms, and this running the business with advanced technology at its core. One area where blockchain can influence the most positive change is in the way airlines make payments. Currently, this is done through the IATA Clearing House, also called the ICH. This serves as the platform for payment between international airlines using a number of currencies. Clark believes that using blockchain on the transactional level would help ICH improve its transaction tracking. This in turn would shorten the time airlines would pay one another. In an ideal world, payments could be immediate. The simplest explanation of a blockchain is that it is a chain of transactions. If there is a new transaction, it is appended to the data chain. However, part of the process is self-checking which calculates the whole blockchain for correct sums. If there was any tampering, the data would be incorrect, and it has to be corrected first before the next transaction is added. Although Clark did not mention other uses for this technology, there are other transactional uses unique within the airline industry which can be improved with the use of blockchain technology. Identity Management. With the use of biometrics technology, identity management would simplify the passenger database. This in turn could help in customizing the flying experience for preferred or frequent flyer program members. Identity management with the use of blockchain would allow the passenger data to be securely shared with every other airline. With the data in the cloud, there is no need for a central database to be maintained separately by member airlines. Benefits of identity management include informing the flight crew of any allergies or possible health issues. An example would be the knowledge that a passenger has peanut allergy. Or, on the off chance that a doctor is needed, he could easily be paged via the intercom. On top of this, it also allows for upgrades of passengers as part of airline courtesy. The technology offers is the ability to pinpoint passengers for specific needs and custom service. Frequent Flyer Programs. With a shared identity management database, the frequent flyer programs for each airline could be expanded and tokenized. This will allow the inclusion of other services and products to the mix of promos and rewards. Cross-airline participation and partnerships could be easily implemented without the need for sharing databases. The database already exists in the cloud and shared on the peer-to-peer network. A tokenized frequent flyer program would credit and debit the points as needed when used with other airline, hotel, car rental, duty-free or other related service and products. Points can also be used on their own in tie-ups with other entities, which are not necessarily travel oriented. It becomes a form of acceptable barter item. E-tickets. Currently, tickets still have to be printed before boarding. 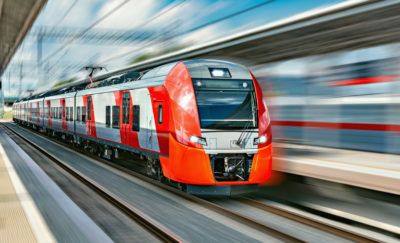 The use of e-tickets would make printed tickets and paper tickets obsolete. The transaction could be stored as a blockchain transaction, accessible by both the airline and the passenger. The only thing that needs to be done is for the passenger to carry a form of e-wallet or e-ticket with a validation number. E-tickets can be saved on a smartphone, or it could be printed anywhere. With the use of a smartphone app, the e-ticket can be accessed anywhere and would not be subject to loss especially if coupled with identity management and biometrics. Coupled with above identity management, the tickets are secure along with the points in the frequent flyer programs. Passenger Item Tracking. Blockchain is perfect for transactional processing. In this case, passenger items could be tracked as well. When a passenger is late for embarkation, his luggage can be isolated and off-loaded from the plane. At any point that the luggage gets lost in transit, there is a record of where it is at any point in time. When an item moves from one entity to another carrier or airport custody, this is also tracked automatically as a transaction. The last entry is where the luggage is located. Luggage or any other lost items could be traced back to their owners wherever they are in the world. Airline Parts Inventory. Parts inventory is already under development in some airlines. Parts inventory is more vital with airlines and airplanes compared to other vehicles. This is due to the way parts are used in airplanes. It is customary to replace parts after a given number of flying hours. Each part has a rated number of hours of flying time. After the flying time or use time has been reached, the parts are replaced regardless of their state of wear and tear. Parts replacement strictly follow an engineering table predicting mean time to failure. With the use of blockchain for inventory control, the maintenance and parts replacement schedule becomes easier to follow. IATA Clearing House. The way the ICH can use this is much like the way cryptocurrency works currently works. Each entity in the database has a blockchain wallet which contains the details of the latest transaction. The transactions pile up, but the nature of blockchain makes the service self-checking. No matter how fast the transactions go, an audit is done to ensure that the blockchain contains the correct data. According to Clark, “blockchain will drive everything” airlines do in the next five to ten years. “Make no mistake about it,” he stressed. The above technologies are available now and could be implemented without any negative effects on passengers. However, there are other more complex technologies which would require more time to implement. These include AR and VR, as well as smartphone apps for both the passengers and various airline personnel. The use of robotics is also clearly in the works for back processes which include loading the planes with passenger luggage. The use of self-driven ground vehicles will also have a huge impact on the way an airline is run. Innovative uses of technology usually present itself when the opportunity exists. These can be simple solutions to outstanding problems, or current processes can be streamlined. In most cases, bold solutions are more revolutionary in not only finding a solution to an immediate problem but in creating a new process so the old problem no longer exists. Smartphones in the hands of passengers and as well as tablets and other mobile devices on the hands of the flight crew can help passengers and staff towards a more enjoyable flight, and better profitability for the airlines. 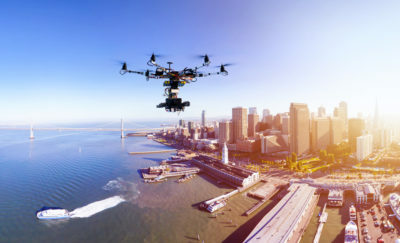 These changes in disruptive technology will become the fundamentals of even bigger and bolder changes in the industry.